When you’ve been the victim of a semi-truck wreck, you shouldn’t have to pay for the resulting medical care and other losses. Find out how to get fully compensated by working with a Logan truck accident lawyer. If you have been injured in a commercial trucking accident, you’re probably dealing with expensive medical bills, emotional trauma, and a great deal of uncertainty about what to do next. The losses that follow a wreck with an 18-wheeler can put your entire future in jeopardy, and making the wrong decision can leave you unable to recover the compensation you need to get your life back on track. A Logan truck accident lawyer from Craig Swapp & Associates can guide you through this situation. The trucking company and their insurer won’t have your best interests in mind—but we will. We can help you determine who was at fault, build a powerful case, and obtain the full compensation you deserve. Who Caused the Semi-Truck Accident? This is a common question, and the answer is not always easy to determine. Sometimes the truck driver is an independent contractor who carries a personal insurance policy. At other times, the trucker is an employee of a trucking company, who then becomes responsible for any damages caused. Additionally, external third parties such as maintenance companies and government entities responsible for road maintenance could also be liable. Uncovering the truth requires completing a full investigation into the wreck. Toward this end, your Logan truck accident lawyer will review accident reports, pictures and video, rest logs, and any other relevant evidence. If more than one party is determined to have been negligent, you can name them all in your personal injury claim. Under Utah’s comparative negligence laws, each involved party is financially responsible for only his or her share of the damages, so maximizing your compensation means proving everyone’s fault while minimizing your own. Pursuing compensation through a personal injury claim may be necessary just to receive the medical care you need in order to recover—especially if your injuries were severe. Even insured victims often find that they cannot keep up with medical co-payments and the cost of rehabilitation. The final compensation that you receive should include all the losses and damages that have been caused by the 18-wheeler accident. While most damages tend to be financial, your quality of life will have suffered due to your injuries, and these non-economic damages also need to be accounted for. 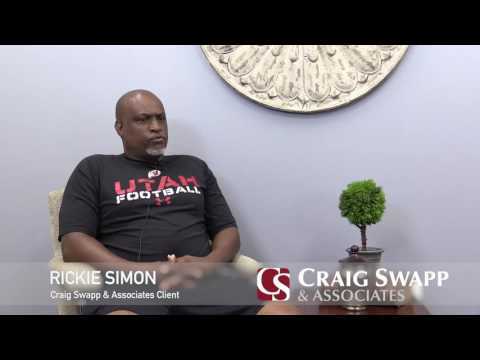 Craig Swapp & Associates can provide you with the legal representation and counsel you need to bring your injury claim to a successful conclusion. You don’t want to risk accepting an inadequate settlement offer, and with our help, you can eliminate that possibility. To schedule a free, no-pressure case evaluation with a Logan truck accident lawyer, call 1-800-404-9000 or complete the form below. Find out what your next step should be and get started on the path to financial compensation today.